Distracted Teen Driving is a Bigger Problem than Previously Thought | Zeiler Insurance Services, Inc. The researchers looked at the six seconds before a crash happened. Footage came from more than 1,500 different videos taken from recording devices inside the vehicles the teens were driving. Results showed that distraction was evident in more than 55 percent of all crashes. Distraction was a major component of the accident in almost 90 percent of road-departure accidents and about 75 percent of rear-end accidents. This percentage was significantly higher than the NHTSA's previous estimate of only 14 percent of teen accidents happening because of distracted driving. Interacting with other passengers in the vehicle. Looking at things outside of the vehicle or inside of the vehicle. Using a cell phone for texting or talking. Singing along to music on the radio or CD player. Reaching for objects in other areas of the vehicle. Experts said that it is troubling to see how much cell phones impacted teen driving crashes. They said it is because teens do not have as much experience behind the wheel and are unable to use previous experience for managing unsafe conditions. According to the video research experts collected, teen drivers had their eyes off the road for several seconds when their cell phones were the cause of an accident. They said that teens were unable to react in time to prevent rear-end crashes when they were distracted by cell phones. The study highlights the importance of all states reviewing their distracted driving laws to make sure there is ample protection for teens. Experts at AAA recommend that teen drivers be limited to one non-family passenger during the first six months of driving and also that teen drivers be prohibited from using cell phones while driving. Graduated driver licensing laws exist in some states and are in place to limit the amount of risky situations teen drivers are exposed to. Although more than 30 percent of states have laws prohibiting teens from using cell phones while driving, AAA is pushing to have all states adopt such laws. From all age groups in the United States, teens have the highest crash rate. There were more than 950,000 crashes in 2013 caused by drivers between the ages of 16 and 19. 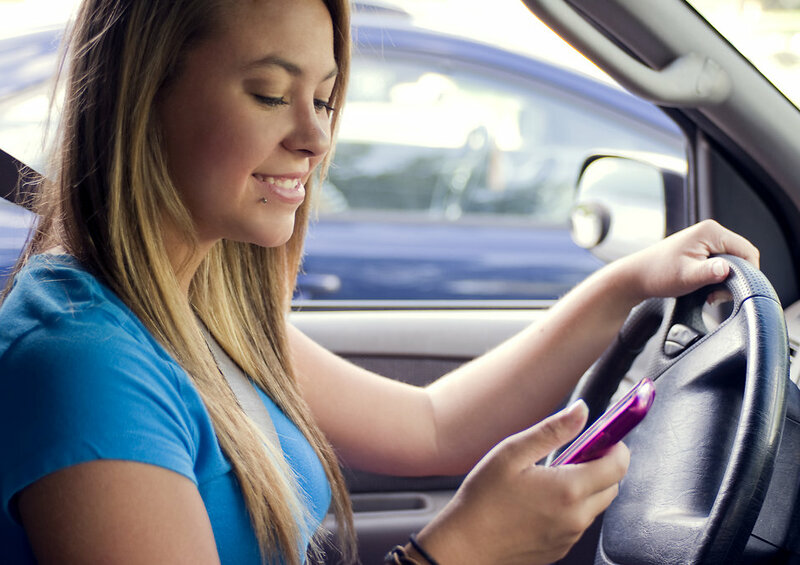 AAA recommends that parents take an active role in prohibiting their teens from using cell phones while driving. To learn more about this topic and for additional tips, discuss concerns with a Zeiler Insurance agent. For tips on how you can coach your teenage driver click here.